Anyone who keeps a regular eye on gadget blogs will know the idol-worthy name of Ben Heck. He’s the master modder who’s managed to make a portable version of almost every popular games machine in history, while also retaining the machine’s original hardware. These include the N64, the PlayStation and even an Xbox 360 laptop. 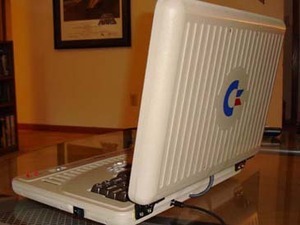 However, for his latest project, Heck decided to create a Commodore 64 laptop, and the result looks like a very slick job. On the mod’s project log, Heck explains that he wanted to “make something that looked exactly like a computer from the early 80s, yet in a new form.” This would include the beige colour scheme, as well as a design that looked like it had come from the home computer heyday. Heck says that the case itself was made in the same way that he made his Xbox 360 laptop mod for THQ, and the end result has a thickness of 2.35in. 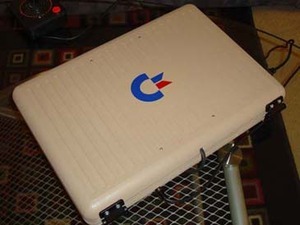 Meanwhile, the 15in screen sits in a recess inside the lid, so that the unit can still close on top of the Commodore 64’s classic chunky keys. The machine also includes two speakers (not stereo) to reproduce the sound in games, and Heck also created the logos from scratch using his vector graphic skills that he learned in his previous job as a graphic designer. Commenting on the end result, Heck says that “this is probably one of, if not my favorite project I have done. 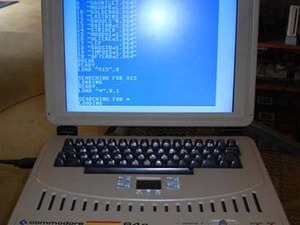 It just looks so beautifully ugly it’s great, like it came out of a time machine from an alternate reality 80’s where this existed.” It certainly looks a lot better than the portable SX-64 machine that Commodore built itself. 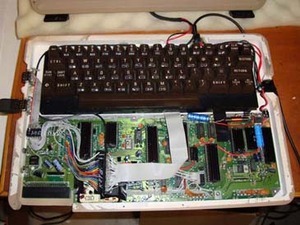 Have you ever modded a retro computer or console, and which machines would you most like to see modded into portable versions? Let us know your thoughts in the forums. Engadget, TechCrunch owner gets borged.